Sonic Pi is a live coding music synthesizer. It's simple enough for computing and music lessons, powerful enough for professional musicians and free to download with a friendly tutorial. 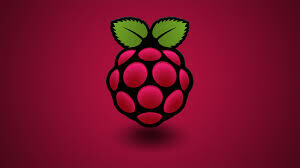 Developed by Cambridge University Computer Lab, Sonic Pi was specfically designed for and built in collaboration with teachers for use in the classroom. The creator of Sonic Pi has also written a book to go with it. The Raspberry Pi Foundation has a website stuffed full of learning resources and projects to try out with the Raspberry Pi. There are projects using Scratch, Python, physical computing, Minecraft Pi, Micro:Bits, Sonic Pi and more besides. The project material is written with kids in mind and covers a wide range of computing concepts designed to support the ICT curriculum in England and Wales. The MagPi magazine is published by the Raspberry Pi Foundation as the official Raspberry Pi magazine. All the back issue are available to read free of charge in electronic format. It can often be a good source of programming projects and tutorials. MagPi have also produced a number of standalone guides for Scratch, Python, Minecraft Pi, Sonic Pi, GPIOZero and more besides.